Hey everyone! The Emily Awards are back again! I hope you enjoyed the silly intro this year- Tyler and I spent a lot of time on that :) Gotta give my assistant Cupcake a little credit, too. In case you're not familiar with the Emily Awards, basically these are all of my favorite products of the past year. These awards began with just one video back in 2008, and now I do multiple videos each year so I can provide more details, and favorites for both high end and drugstore categories. Basically, I like to pretend that I work for Allure magazine and really go crazy with it. My first video focuses on favorite face products, and keep in mind that I may not have a favorite in every single category. It's gotta be awesome (in my opinion) to make the list! :) I hope this list makes it easy for you to keep track of your favorites and refer to it if you're on the go. Keep checking in with my YouTube channel for new videos in this series, and I'll also update Twitter and Facebook when something new is posted. * denotes the number of years a particular product has won. These are the best posts and videos of yours that I look forward to every year. They are spectacular. I don't know if you've tried Benefit "Hello Flawless" powder but you should definitely check it out! Yay! I look forward to the Emily Awards every year. I LOVED the intro to the video. It was really cute, your videos always make my day. I have been looking to try drugstore foundations so I think I will start with Revlon's whipped cream! Thanks Emily! Loved the video (and especially the intro w/ Tyler and Cupcake)! Great job on the awards. I can't wait to try some of these face products! 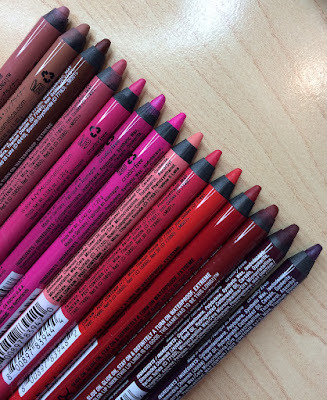 I was wondering what shades you were in these products. I feel we have a similar complexion. I am sure you are busy with the next installment of the Emily Awards. I will try to go back and watch videos where you review or use the products to see if you mention the colors. Thanks so much. This makes the overwhelming process of choosing great products so much easier and spending money on higher end products that are great quality. Thanks again. Enjoy the rest of your weekend! 1. Loved the intro! 2. THANK YOU for the list! I'm totally using it to buy quite a few things. You're AWESOME! Such a great video Emily,loved the intro with Tyler and your outfit afterwards :)...I made for this year a resolution,to try new makeup and since I'm subscribed to your channel,It'll make my decisions so much easier.Too bad that some products are harder to get a hold of since we don't have them here in the UK,but I shall try. Can't really say that I've tried them all,but will try to find out more about the Revlon Whipped Cream Foundation. Looking forward to your next category and videos. PS. 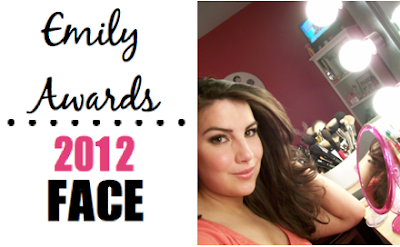 Would it be possible to see a makeup tutorial for the one you're wearing for Emily awards(face category)? I think is gorgeous and would love to see what did you use to create this look. I'd like to mention that Milani can also be purchased at CVS stores .. at least, I have seen them there. Thank you for doing these, they're my favorite videos all year! I definitely need to try out some of these products. By the way for anyone who is curious I have also seen Milani in both of my Walmarts so you could probably check if yours carries the brand. On a side note I'd like to add that I would also like to know your shades for some of these products. Thanks! LOVED the intro! How cool is Tyler for getting involved, it was awesome! Actually, the only beauty/women's magazine i've read for years now has been Allure, and I often think of you when they're doing their Best Of Beauty feature. Fantastic list! Thank you for sharing! My one question would be if you have a favorite mascara!! Hi Emily, such a cute awesome intro! i love the way the whole family gets involved! LOL i have often wondered about Estee Lauder doublewear, and it definitely seems it is worth saving up for! looking forward to the next (eyes)! Hi Emily, sorry, i forgot to ask you in my previous comment, about the Estee Lauder double wear foundation, were you talking about the fludity or the stay in place? thanks so much!! Hi! I've been hearing a lot of good stuff about Milani, but it's not available in Croatia, so I'll have to order it online. I was wondering what Multitasker shade would suit me best - I wear EL DW 2.0, Dior Forever 2 and Revlon CS in Natural Beige 220, just to mention few. From the swatches, I'm guessing 02 Light Medium would work, but I could be wrong. Any help is much appreciated! Thanks. Loved this video Emily! You did a great job, this was totally worth waiting for! P.S. If you girls could take a few minutes to check out my blog, I'd really appreciate it! Great intro, I absolutely loved it!! I look forward to these videos every year. Is it possible that Reserve Your Cabana by Wet n Wild was limited edition? I didn't see it at either of my favorite drugstores today and I can't find it on their website either! It's definitely not a limited edition item, but I did run into trouble trying to find it. Apparently not every store carries the color icon bronzers. I finally found my mine at Walgreens. Hope this helps! You've turned me onto IT Cosmetics and WOW am I surprised! Thank you!! 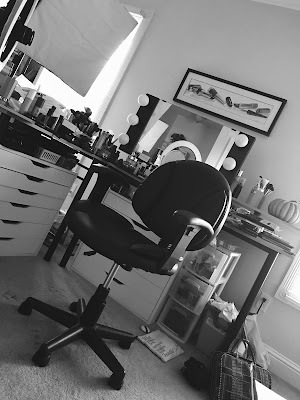 And if you wanna check out my blog I post daily pictures of my looks and list what products I am using! So if you love Emily I hope you guys will give my blog a shot too! Thank you so much for the drugstore primer recommendation! I went out and bought it right away and have seen such a difference in the past few weeks! Thanks again! I would love to see a link for a printable version of this list. I would carry it in my purse and be able to pull it out when I'm shopping the cosmetics sales!